TightSpot Cat6 There is 1 product. 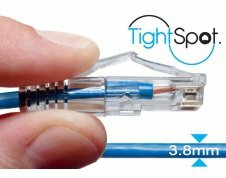 TightSpot Cat6 ethernet cable provide superior performance in high density areas with a 3.8mm cable and thin boot design. This quality copper network cable is great for data center and telecommunication environement installations.